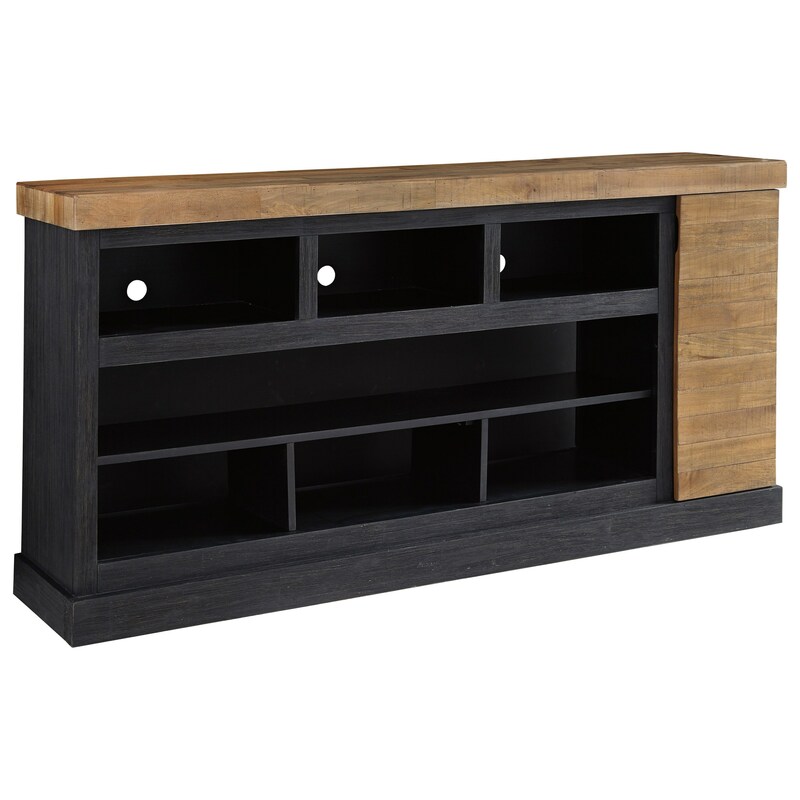 The asymmetrical design of the extra large TV stand creates a fresh contemporary design for your entertainment space. The sleek, dark finish on part of the stand contrasts well with the rustic look of the top and the door. 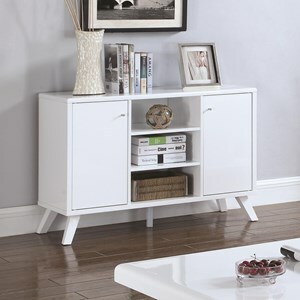 The TV stand accommodates TVs up to 75" in size. For storage there are three cubbies with wire management openings on the top row, as well as additional openings below created by a removable shelving insert. Make use of the concealed storage within the door. The Tonnari Contemporary Two-Tone XL TV Stand by Signature Design by Ashley at Value City Furniture in the New Jersey, NJ, Staten Island, Hoboken area. Product availability may vary. Contact us for the most current availability on this product. Case Detail Asymmetrical design with a butcher block veneer layup on the door. Thick tops with waterfall veneer look on edge. Case Construction Made of veneers, wood and engineered wood. 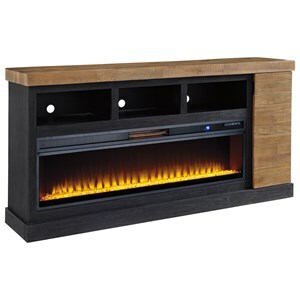 Made with Mango and Acacia veneers and select hardwood solids. Browse other items in the Tonnari collection from Value City Furniture in the New Jersey, NJ, Staten Island, Hoboken area.